Bill O’Reilly hosts Fox New’s “The O’Reilly Factor” the highest rated cable news show in the country. Coming from a background mix that includes a liberal Yale education and cafeteria Catholicism, O’Reilly uses his sharp egotistical wit and probing, no-nonsense interviews to entertain millions in prime time cable television in America. 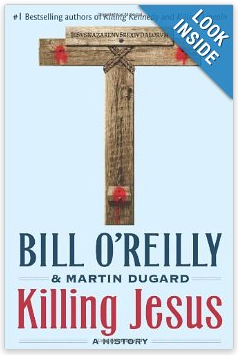 O’Reilly smartly uses his Fox TV show as a promotional tool sending his two previous books: “Killing Lincoln,” “Killing Kennedy” and his latest, “Killing Jesus,” onto the best-seller lists. Many readers probably won’t be aware of the book’s errors and misinformation, causing a subtly incorrect account of Jesus’ life to be burned into their unsuspecting minds. There IS a lot of fascinating and accurate information about the Romans and the times in which Jesus lived sprinkled throughout the book. But because O’Reilly doesn’t use the Bible as a measuring stick for his research, the technical errors can throw you off. It is also worth noting that throughout the book, O’Reilly seems somewhat bewildered and/or confused as he attempts to tell the age-old story of Jesus. The book approaches the Bible as something less than the inspired, infallible Word of God, and as a result, views the true identity of Jesus through a faulty and distorted lens. Good grief O’Reilly, that’s scary! Jesus didn’t make Himself “fit” Bible prophecy, but rather fulfilled Bible prophecy! This, of course, is not true. I take offense at the scriptures being called “legends” as if they were passed down fables. And worse, O’Reilly says Jesus is debating the nuances, as if there are contradictions in scripture. And finally, O’Reilly makes it sound as if Jesus was only asking questions, when the revelation of that scriptural record was that His answers were amazing. Over 30 verses refer to Jesus appearing 12 times to groups ranging from one person to 500 people. (2 Pet 2:16, Mk 16:9-11, Lk 24:34 et al.) To say that Jesus’ body has never been found means you have to deny the resurrection. Really O’Reilly? You’re saying Jesus was resurrected as a ghost? NO, Jesus appeared with a physical body of flesh and bone, and has that same resurrected body today. He ate with the disciples after His resurrection. So Jesus was anything but a ghost! In addition to the above, the following is a partial list of technical errors that I also found in a quick one-time read. I’m sure I didn’t catch them all. But the fact I found so many affects the credibility of the book. The link to the entire list of 77 errors is at the end of this article. 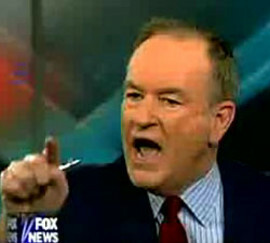 O’Reilly says “tens of thousands” of Jews converged on Jerusalem for the Passover celebration. Historical accounts, such as the writings of Josephus, put that number in the millions. Later, on pg. 66, O’Reilly states “Passover is a time that Jerusalem is packed with hundreds of thousands of worshipers…” So internally the book is in conflict with itself. Regarding traveling from Nazareth to Bethlehem, O’Reilly says there are few sources of water. Not true. 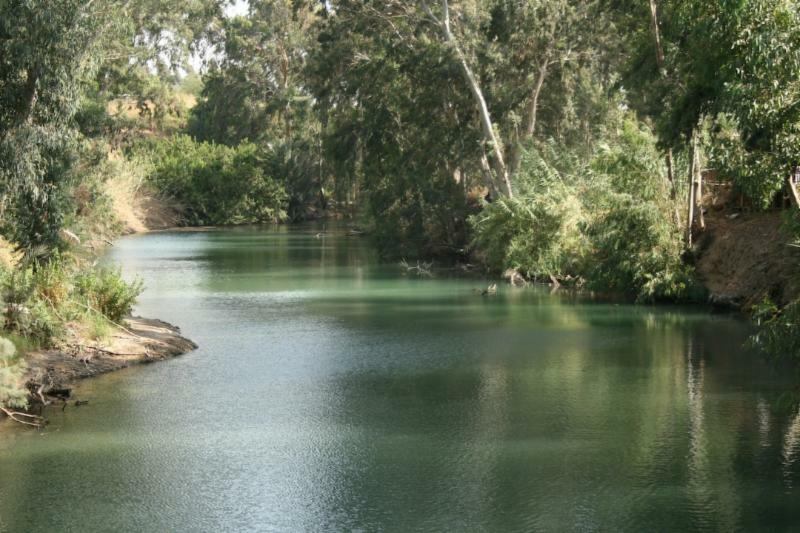 2/3rds of the route Joseph and Mary would have traveled was next to the Jordan River, a bountiful source of water. I’m dumfounded that a Yale educated guy could think a wall could be 1/4 mile on one side and only be three acres on the inside! 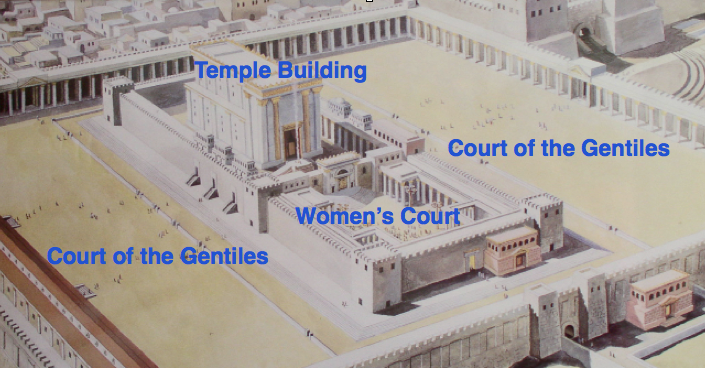 The Temple Mount is about 37 acres total, not three. There is no evidence whatsoever that Mary Magdalene was a prostitute. There is a great distance between repentance, which is confessing that you’re a sinner in need of a Savior and wishing to change directions, and listing out your sins one by one (as the Catholic Church doctrine requires you to do today). O’Reilly misunderstands the Bible, again, as to what is being proclaimed. What John said was “the kingdom of heaven is at hand.” And indeed it was with the world’s Messiah beginning His ministry. But O’Reilly calls it the “end of the world,” seemingly to try to make John a false prophet and the scriptures incorrect. The Temple Courts were fully enclosed. Incorrect. The Jews were FORBIDDEN from minting their own coins and were forced to designate a Roman coin as a substitute for their half- shekel Temple tax (see photo above–the “designated” temple tax coin). It was only after 66 AD, following the 1st Jewish Revolt, that the Jews could mint their own coins without images, often stamping the new image over the old Roman image. Four years later the Romans conquered Jerusalem and the Jewish coins were outlawed. There were two powerful men who did convert- Joseph of Aramathia and Nicodemas. Jesus willingly allowed Himself to die for our sins. The Bible is clear that it was Jesus who held all the power. O’Reilly’s disregard for Jesus being God is scary. Jesus CREATED fish! This is laughable! The Jews don’t wear their phylacteries on their heads causally around the marketplace as if it were part of their everyday dress. 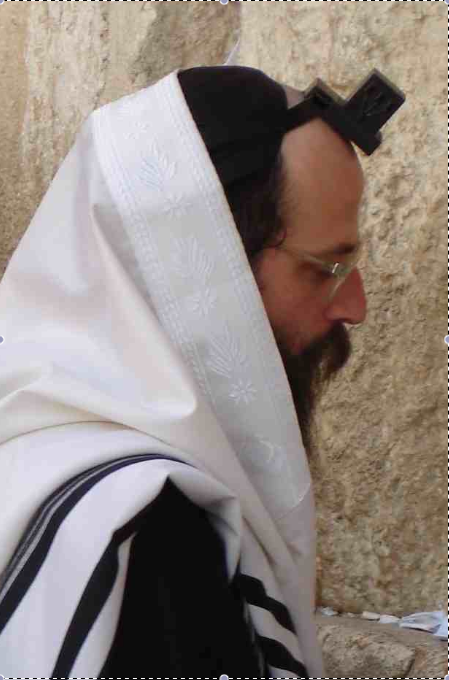 Instead, they wear them, both on their head and attached to their upper inside left arm, only for time of prayer. And the verse inside is almost always from Deut 6 about loving God with all your heart and mind… in order that you don’t forget that it was God Who brought them out of Egypt. Not correct. The commandment to go to Jerusalem is still in the Law. The reason they don’t go to Jerusalem is that the Romans conquered Jerusalem, destroyed the Temple and scattered the Jews. So they can’t make sacrifices on Mt. Moriah as called for in the Torah. In fact, in 132 AD, during the Bar Corba revolt, the Jews took back Jerusalem for about 3 years and resumed sacrifices, although they weren’t able to rebuild their Temple. Lev. 17:11 “For the life of the flesh is in the blood, and I have given it to you on the altar to make atonement for your souls; for it is the blood by reason of the life that makes atonement. Incorrect. It was their mother who asked, not James and John. The words “O Lord, grant us success” are not in Psalm 118. Judas often had “more than a few extra coins” in his pocket because he constantly dipped into the disciples’ money box for personal needs. Whether or not Jesus was crucified on Thursday or Friday, He was NOT at Lazarus’ house in Bethany the night before His crucifixion. 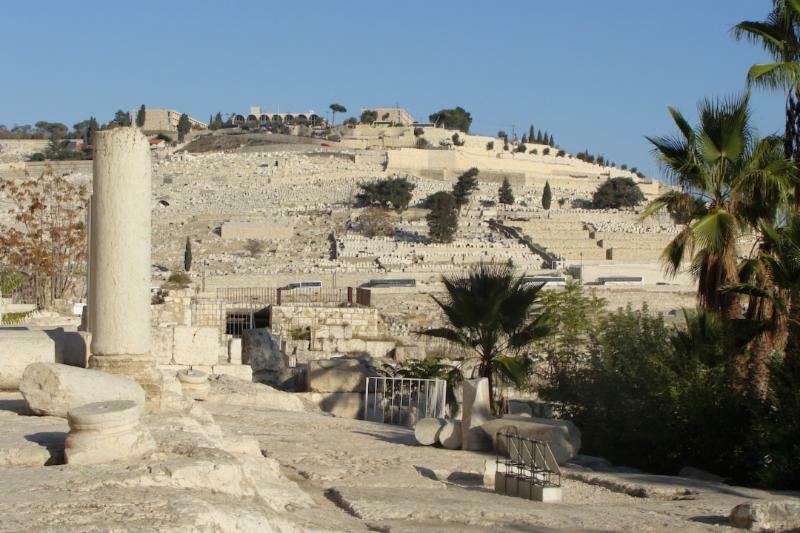 Rather He went from the Mount of Olives where He gave His famous Sermon on the Mount of Olives in Matthew 24, to the Upper Room and then back to Gethsemane at the base of the Mount of Olives. Bethany, where Lazarus lived, was two miles away. O’Reilly again refuses to follow scripture by writing that the events of the evening before Jesus’ crucifixion took place at Annas’ house. Jesus was originally taken to Annas, the revered former High Priest, but because he was no longer in power, Jesus was taken to Caiaphas house, who was in power. So all the action O’Reilly writes about Annas on pages 226 to 231, should be about Caiaphas. 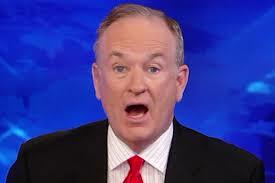 O’Reilly has Jesus still carrying His cross to Golgotha “close to noon.” Jesus was crucified at 9 AM and died at 3 PM. O’Reilly has this all wrong. 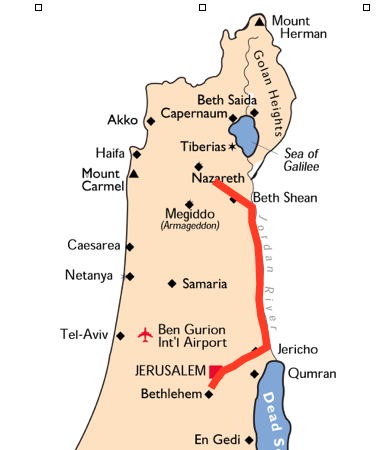 The path that Jesus walked carrying His cross began leaving Pilate at the Antonia Fortress, NOT Herod’s Palace, and proceeded through the Damascus Gate, NOT Jaffa Gate. 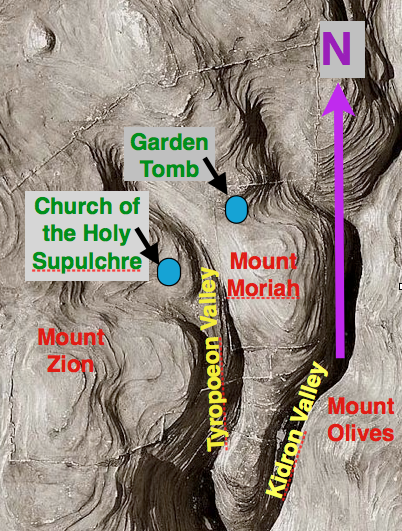 It is scripturally impossible (see map to right) for any sacrifice to take place on any mountain other than Mt. Moriah. The Church of the Holy Sepulchre is not on Mt. Moriah and is not north of the altar. As you can see, I’m only pointing out Biblical error and not Roman history error, of which O’Reilly writes quite extensively. I have no clue if what he wrote about the Romans is accurate. Hopefully it is.